There is a very high probability, that the next major offering from Redmi, will have these three features: Snapdragon 855 processor, popup selfie camera, and 3.5mm audio jack. Although no official note has been released, but just now, an image was ‘accidentally’ leaked on Weibo, and rumor mills are already buzzing with possibilities. 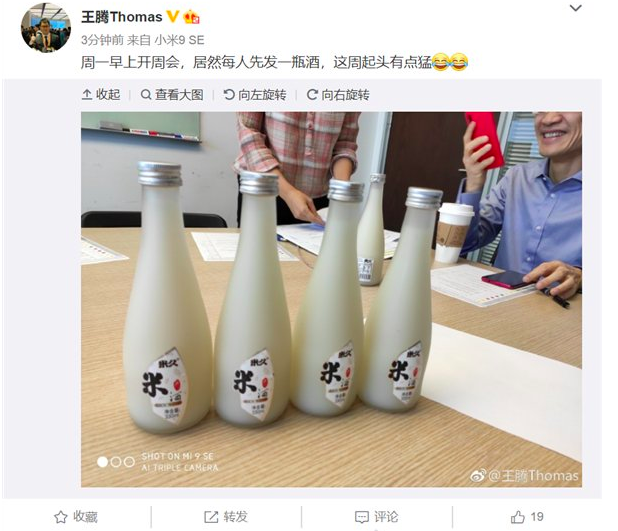 This is how this leak happened: Xiaomi’s product director Wang Teng Thomas shared an image on Weibo, which was promptly deleted. But once its posted on the Internet, its always present. Users took screenshots of the post, and shared it widely. As you can see, Xiaomi’s founder, Lin Bin is in the background with two smartphones: One in his hand, and the other on the table. 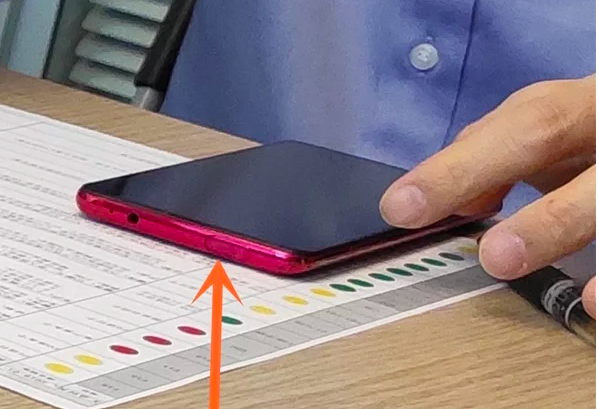 The red smartphone lying on the table shows us several features, which makes it confirmed that this is going to be the next flagship from Redmi. As we can see, the position of the smartphone is such, that we can easily confirm the presence of popup selfie camera in the top-bezel, as the especially place notch is clearly visible here. Besides that, 3.5mm audio jack is also visible, without any issue. Overall, it is now clear that this mysterious Redmi smartphone will have a full-screen with no bezel and notch-less display, as the popup selfie camera is placed on top. This image was clicked using Mi 9 SE, which is another interesting fact of this whole story. Now, all we need to do is wait for the official confirmation from Xiaomi. Earlier, Redmi General Manager Lu Weibing had confirmed that this mysterious Snapdragon 855 powered smartphone will not have popup selfie camera. Just like you, we are also awaiting the truth. Meanwhile, Redmi has officially listed the Redmi Y3 smartphone, and the launch date has been confirmed to April 24th. This new Y-series smartphone will have 32-MP selfie camera, dot-drop notch and a bigger battery. On several levels, this new Y3 smartphone has been designed on the lines of Redmi Note 7 series, which was recently launched. Just like Y1 and Y2 models, Y3 too will be focussing on selfies. There has been no information on the pricing yet.